Louis XIV as the Roman Emperor in the Carrousel du Roi, by Israel Silvestre the Younger, c.1662. The depiction of his mount, and a similar one for the Duke d’Anguein, suggest that the silver dilution might once have been present in the Spanish horse population. A few years ago, I reported that a Pura Raza Espanola (PRE) mare has tested positive for silver. This was significant since a previous case of what appeared to be a bay silver stallion had been called into question, regarding both a reported test and registration status. Unlike the stallion, the mare in question was not visibly silver – she was chestnut – but was said to be a carrier. Unfortunately, she has since proven to be negative for the dilution. It appears that while the owners used standard testing notation, what they were doing was what the dog geneticist, Sheila Schmutz, refers to as “guessotyping“. More often when people guess the color of a horse, they use the name of the color. This is especially true when a new and interesting color with an appealing name (champagne, pearl) comes to light. Most of the time there are other clues that the owner is guessing, though that was not true with this particular case, where the particulars were a little unusual. With the proliferation of websites and forums dedicated to the discussion of horse color, and the more widespread use of testing notations in the descriptions of horses, this is likely to be an increasingly common problem going forward. From the standpoint of this blog, I have tried to keep a balance between verifying information and being unnecessarily antagonistic with owners and breeders. In the past, owners of horses with unexpected colors or test results have encountered very aggressive – and at times outright rude – questioning from color enthusiasts. What is often lost in these exchanges is an awareness that breeders do not owe enthusiasts copies of test results. Certainly a potential buyer, or a mare owner interested in breeding to a stallion, have every right to ask to see results if the true color of a horse is in question. But what we are often asking is that someone satisfy our curiosity. 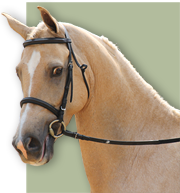 Owners and breeders are a valuable resource for anyone interested in horse color. Unlike the situation with the model animal for coat color, the mouse, it is not feasible to breed large, expensive animals as part of a research program. Breeders are doing the work, and paying the bills, for that. What’s more, they are in a unique position to observe nuances of color that people less directly involved with the individual animals might miss. Maintaining a positive atmosphere encourages an open exchange of information, and reduces the chance that someone with a unique horse feels burned by the research community. That said, it is clear that testing notations cannot be assumed to represent an actual test. As much as it would be a good idea if people did not use them without test results in hand, because they are more widely understood than in the past, the temptation to use them as shorthand for a guessotype is there.